As the days slip into July, little puddles of joy begin to well-up in the hearts. The idea of watching the rains from your window pane, sipping hot coffee and cuddling in the blankets may seem too tempting and romantic, but there’s something we’re all missing. July is that time of the year when the earth drapes itself in romantic vibes, in most parts. There is so much you could do, there is so much you could see. Here’s a glimpse of what July has in-store for you. Take heed, and set off on a journey that your heart has been yearning for. Remember, you're just an air ticket away. It would be unfair to simply state that Iceland is an amazing place when it can be said in many other ways, like the following list. 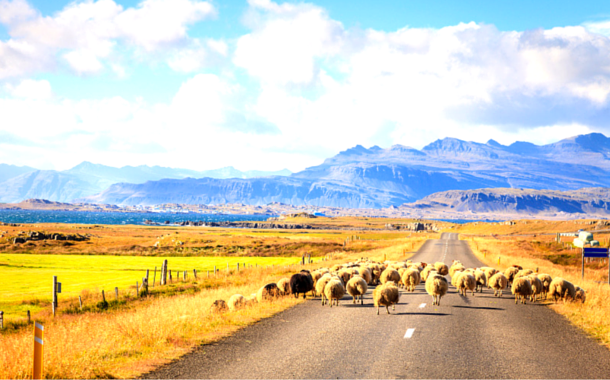 To begin with, Iceland is the fourth happiest country in the world with the least crime rate. It’s a place that is free of power struggles, a place where men and women are treated as equals. Iceland is not full of ice as its name suggests, just like Greenland is not all green. In July, the sun practically never sets, at no point does it grow too dark, there is daylight for 24 hours. Iceland in July is a wonderful place to be. You would miss the northern lights though, but there is enough to amaze you. The weather will be just as pleasant to make your vacation a wonderful experience, with a temperature of about 10 to 20 degrees, and occasional rain, wind, and sunshine. Also, Iceland is a country where mosquitoes don’t exist. There are ample of geothermal spots in and around Iceland. If the weather gets too cold for you, you can happily hop into one of the hot springs. Iceland has a special sauce for everything, and its cuisine will leave you wanting for more. Overall, Iceland is one place that is worth a visit. Monsoon is a time when you wouldn’t want to get your cozy feet out in the wet but you’d be at a loss, for there is a different world outside. All you need to do is break the bubble of stereotypes and believe that the world outside the window pane is as beautiful a place to be as it seems from within. When you take that baby step of doing different than usual, do not worry. Here’s a beautiful place that will make your monsoon a time to cherish forever. Udaipur, the city that is known for its architectural beauty, looks all the more stunning, as it stands drenched in the shower of love. As Rajasthan receives low rainfall, it makes for a perfect destination to visit with just enough rains for a pleasant climate and easy travel. 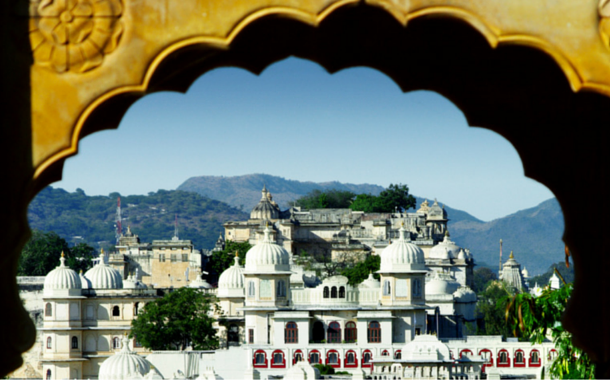 Fondly known as the city of lakes, Udaipur will give you reasons enough to fall in love again, for if you have the rains and a backdrop as beautiful as Udaipur, the romance of two souls will see new heights. The most memorable moments of your life form the canvas of memories that you would cherish when you are old and grey. Imagine how you’d feel if you don’t have a pretty canvas. Now is the time, take your loved one to beautiful places on the globe and gather memories galore. 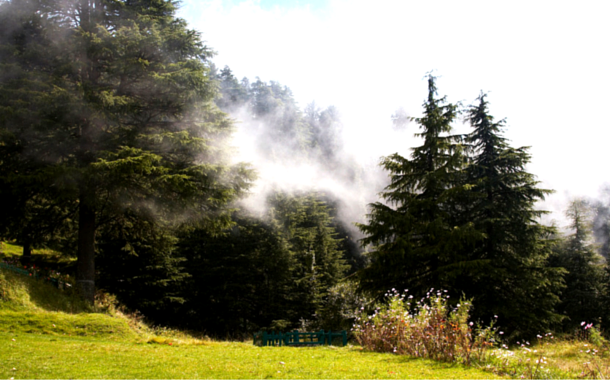 If you don’t want to visit the mainstream honeymoon destinations, here’s a place that you could have wonderful times in, Dalhousie. It cuddles itself in and around five hills in Himachal Pradesh, and holds a stance of grace as it still has a tone of Scottish and Victorian architecture in its bungalows and churches. It promises you all the privacy a honeymoon trip demands. As you take long walks, or decide to halt and spend some time in each other’s company and nature’s embrace, find your self falling in love with its tranquility, and let the winds whisper in your ears. If the couple wants to indulge in some thrilling activities, there is a choice for that as well. Ample adventure sports would greet you and promise to enrich your experience. If not for anything else, just visit for the sake of love, for being able to hold yourself back from falling for the place, is just a myth. If we could rechristen Thailand, it would agreeably be called as the honeymooners’ paradise. Apart from being one of the cheapest international destinations for Indians, it does hold other delightful treats. Its beaches and clear blue waters will tempt you to stay longer. When on a honeymoon, every couple strives towards spending quality time with each other and also bonding over little things, and Thailand makes things easier. It has something to appeal to everybody’s liking. For adventure junkies, there are a ton of adventure sports to indulge in, and for the ones who like the warmth of the beach sand packaged with the cool breeze, lying under the clear skies, Thailand has beaches in abundance. To make your dinner dates crunchy and scrumptious as you reminisce them, Thailand has a vast variety of cuisines to spice up your romance. Another great thing about Thailand is, it hosts numerous parties in and around just to satiate the party animal that growls within you. Ask for it and Thailand has it. Being able to do so much without being ruthless on your pockets is an opportunity to grab with both hands. Hence declared that Thailand is the ultimate honeymoon destination. Trekking in monsoon is one of the most thrilling experiences. The joy of making one’s way up through the un-tarred paths while beholding the spectacular beauty of nature, is one experience everyone should have. 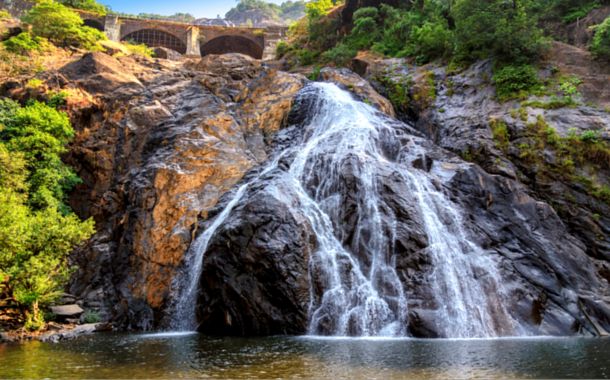 Dudhsagar waterfalls, known among one of Goa’s important landmarks, is as beautiful as its name suggests. Flowing with grace, it springs out of green and brown patches from atop the mountain. As you take each step, you’ll be entering a new territory of wonder. It is definitely a trip to be taken with a bunch of buddies, for this place comes with a promise, to enthrall you with its incomparable beauty.